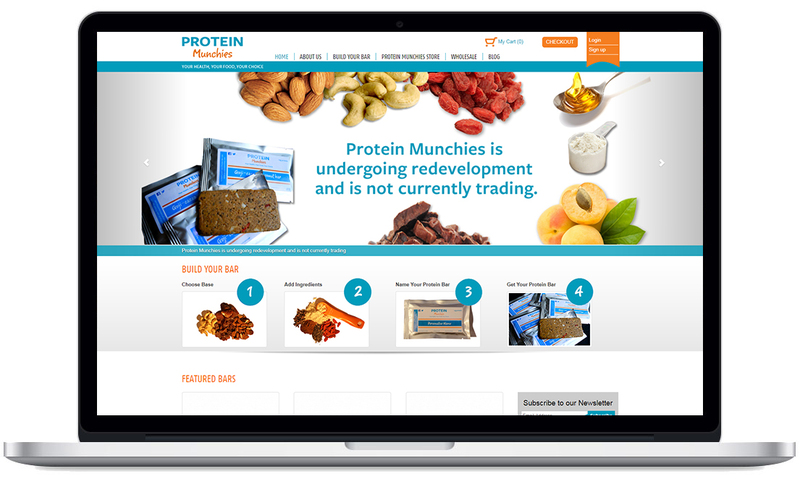 Protein Munchies is an eCommerce website offering customized nutritional bars. 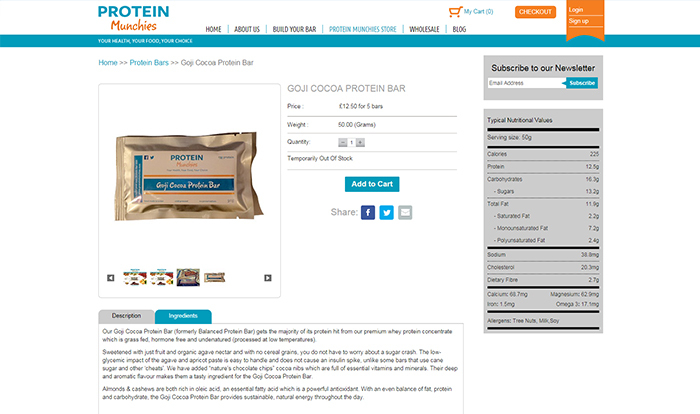 Users can select the base for the bar and top it up with the ingredients of their choice. 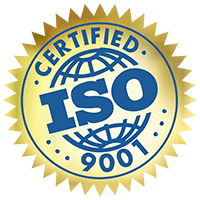 Users are also guided on the best possible ingredients and its nutritional value to enrich their bar. 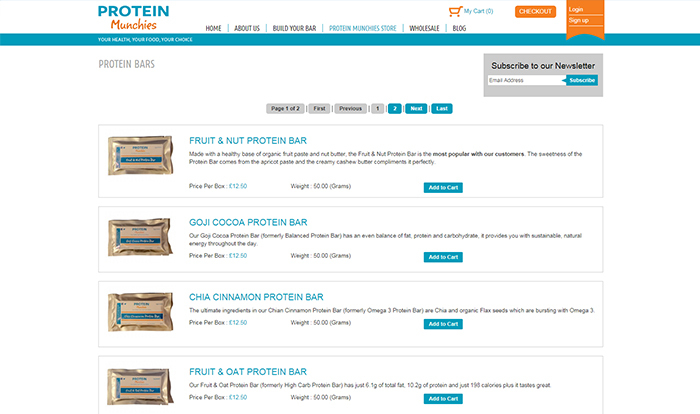 Protein Munchies had an amazing idea of creating an eCommerce website that allows customer to create custom protein bars. This was an exciting opportunity for Mango IT Solutions to create and develop this new idea based website. Calculating nutritional value while creating custom protein bar, was one of the amazing features that we have built for them. Other modules that we have worked on subscription management to order your custom protein bar on a set frequency, replace the order with new products and wholesales management.